There is no doubt that an experience volunteering abroad can be significantly more enriching by understanding the cultural and local traditions, lifestyles and needs through the eyes of someone living within the local community. 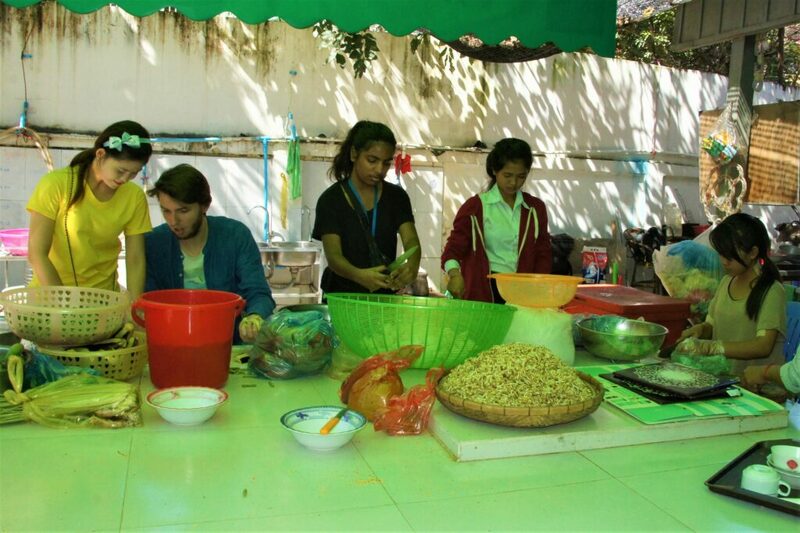 The pairing of GSC volunteer participants with local counterparts is another way GSC differentiates itself from other volunteer abroad and service learning programs. Throughout the in-country orientation, you will be accompanied by the GSC Cambodia In-Country Coordinator, Ratha Tieng, who will also introduce you to your project counterpart. Once you begin your service project, your local counterpart will be your main contact and will be in communication with Ratha. You will also be able to call and text Ratha whenever needed. However, you will likely find that your counterpart will be assisting you with most of your needs. In Cambodia, the experience of GSC volunteer participants is greatly enhanced by their interaction with local counterparts. Volunteers and counterparts–whether an orphanage staff member, a teacher at a school, or a NGO staff member–build mutually beneficial, and often long lasting bonds of friendship. GSC has developed a cadre of counterparts that are strongly committed to helping volunteers integrate into the local community and understand the cultural and technical aspects of their service project. Counterparts assist volunteers with introductions to your project activities, learning local language phrases, meeting community leaders, finding the best local restaurants, and giving tips about, and often participating with you, in social activities. Counterparts play a vital role in providing a true cultural immersion experience while helping to insure that your interaction with and service to the community is appropriate and effective.